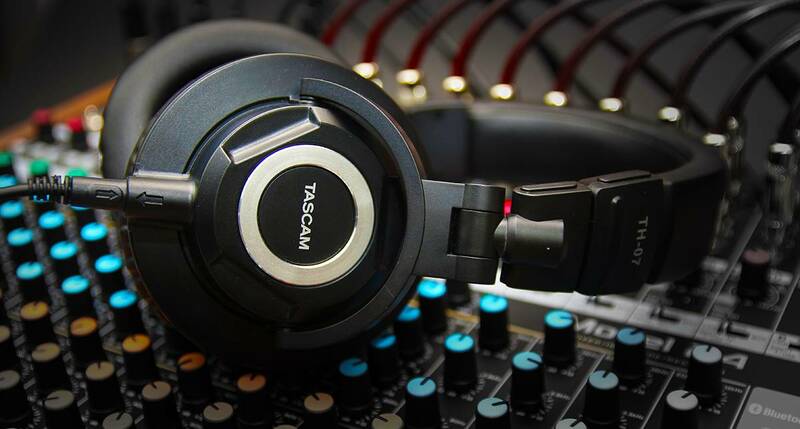 TASCAM has introduced the TH-07 High Definition Headphone Monitors. A premium headphone set intended to duplicate the audio quality of high-end near field monitors, the TH-07 has been tuned for full but natural bass, flat mid-range, and clear high end and is suitable for mixing, monitoring, or any audio task demanding outstanding quality. The new headphones employ custom-made 50mm drivers and offer a wide 10Hz to 30kHz frequency response and sensitivity of 100dB ±3dB. Their closed-back design allows a full bass response while blocking out most external noise.